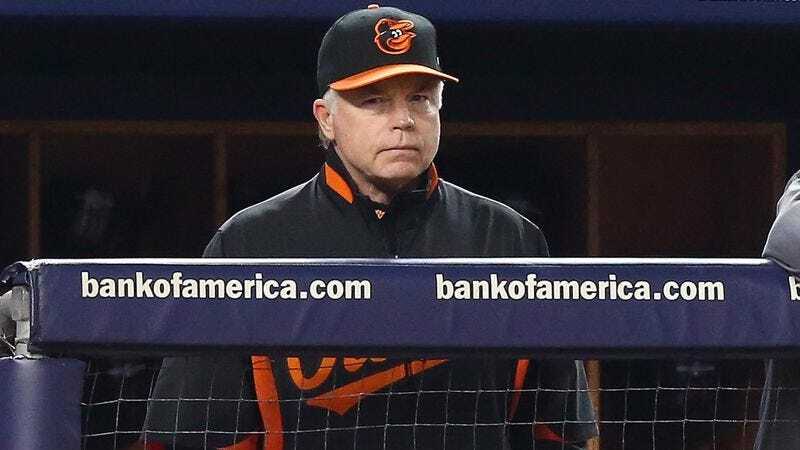 BALTIMORE—Calling it “a bad part of the field, plain and simple,” Baltimore Orioles manager Buck Showalter told reporters Tuesday that he is terrified of walking to the Camden Yards pitcher’s mound by himself late at night. “It’s dangerous enough during day games, but you’re not going to see me out there on my own once the sun goes down,” said Showalter, adding that in the event he has no other choice but to make a visit to the hill at night, he takes a well-lit path and always makes sure to bring a catcher with him. “It’s a tough crowd that hangs out in this ballpark, but that mound is definitely the worst. I mean, I don’t want to sound racist here, but the last time I stopped by, there was this huge Mexican guy with a baseball bat standing no more than 60 feet and 6 inches away from me. No thank you.” Showalter added that he also makes sure to take a wide berth around Camden Yards’ perilous outfield, recounting how last fall he was robbed at knifepoint by Orioles right fielder Nick Markakis.